Meet the lowest Audi Q5 in the world. For those that know the Q5 platform, this is an SUV. As we all know, SUV's were meant to do everything except being slammed to the ground. 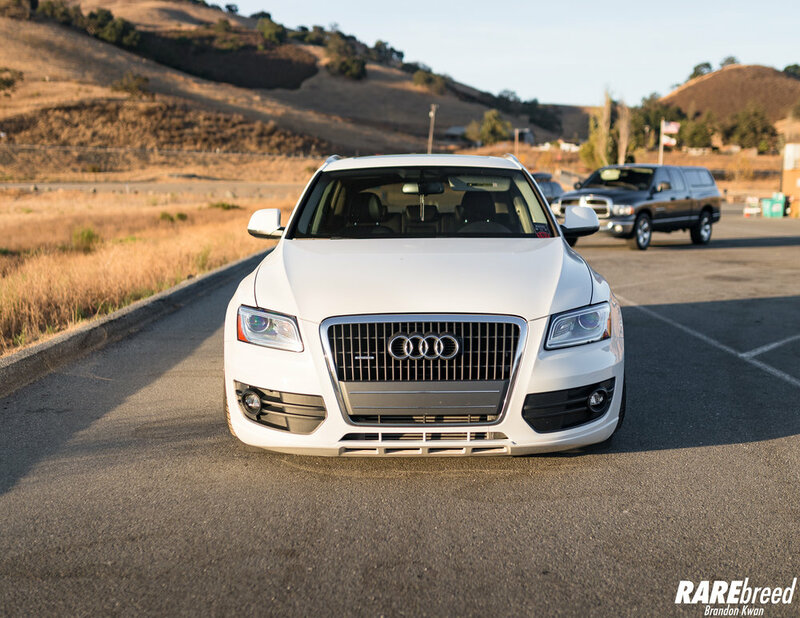 When Kevin purchased his 2011 Audi Q5, he had one goal in mind- to get it as low as possible. With the help from another Q5 owner in Germany, (onenightinthemuseum) Kevin gained some tips in low department. However, he was determined to push the envelope even further. With the help of his friend Luke, together they were able to customize almost everything under the car to become the world's lowest Q5. Easily tucking the 22" AG M615 Wheels with the help of B8 Air Lift Performance Struts. Also, a Futura BBK powdercoated purple fills the multi-spoke face. Keep in mind what that you're looking at a SUV that is planted on the floor- impressive. Becoming the lowest Q5 in the world did not come easy. Hours of custom fabrication from Luke Andersen at Becausebags were performed in order to get it grounded. This Q5 is so low that the subframe and gas tank are on the floor when the car is aired out. 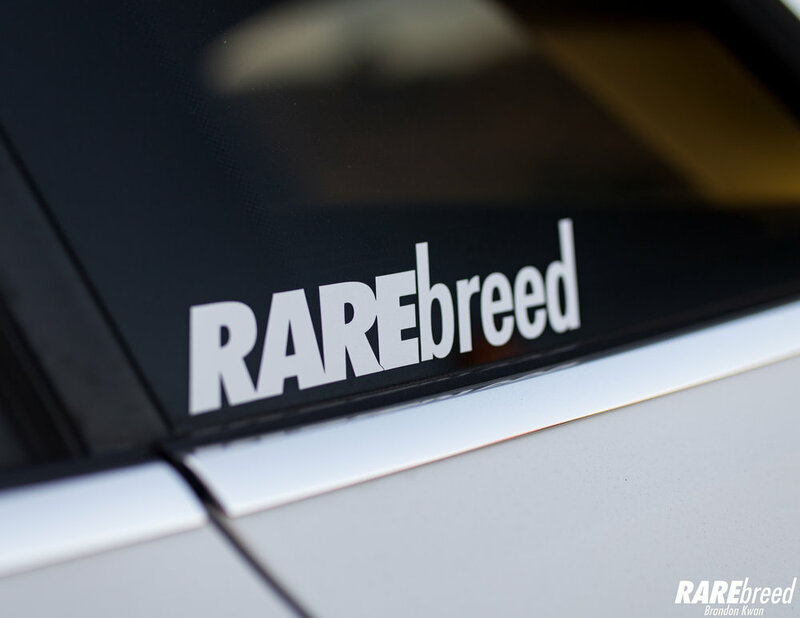 Kevin is also the owner of Euro Image, a shop that specializes in VW & Audi parts and billet goods. Hit him up if you need anything Euro related! In order to reign as the lowest Q5 in the world, but take on Lake Tahoe on the weekends, Kevin paired up his Audi with with a 5 gallon seamless tank powdercoated vibrant green, dual Viair 444C compressors, and Accuair e-Level management to keep it all under control. The entire system is mounted flush in the spare tire well via the Becausebags B8 Bracket. 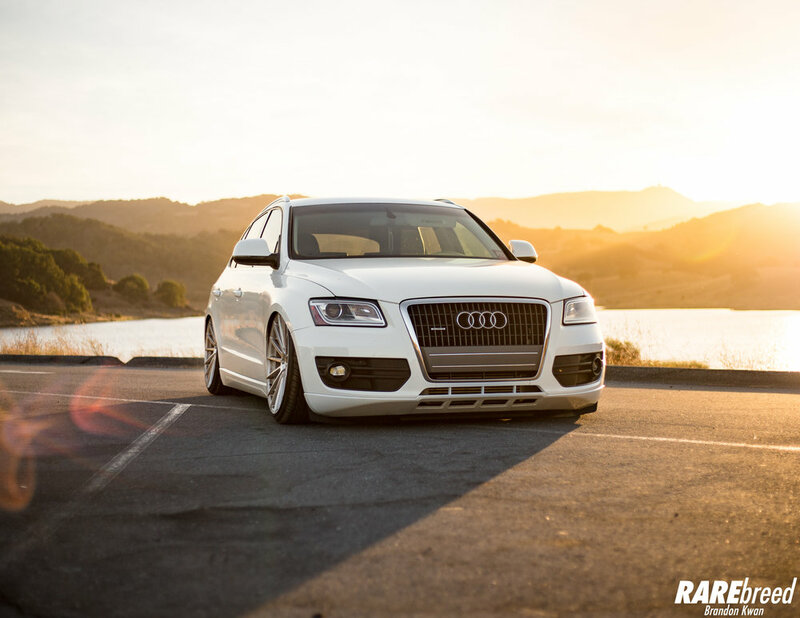 Follow Kevin and his Slammed Q5 on Instagram!